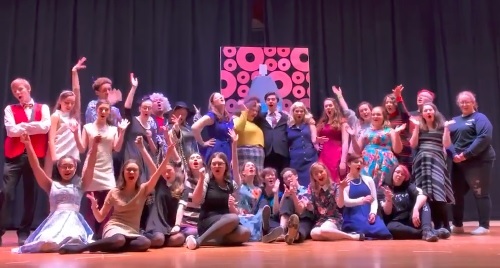 Assabet Valley Regional Technical High School is putting on the musical Hairspray, Jr. The 60s themed musical will run on Friday, March 22nd and Saturday March 23rd at 5:30 pm. The cost is $5 for students and seniors, $7 per adult, $3 per child ages 5-12, and free for kids under 5. Hairspray JR. is the family-friendly musical piled bouffant-high with laughter, romance and deliriously tuneful songs. 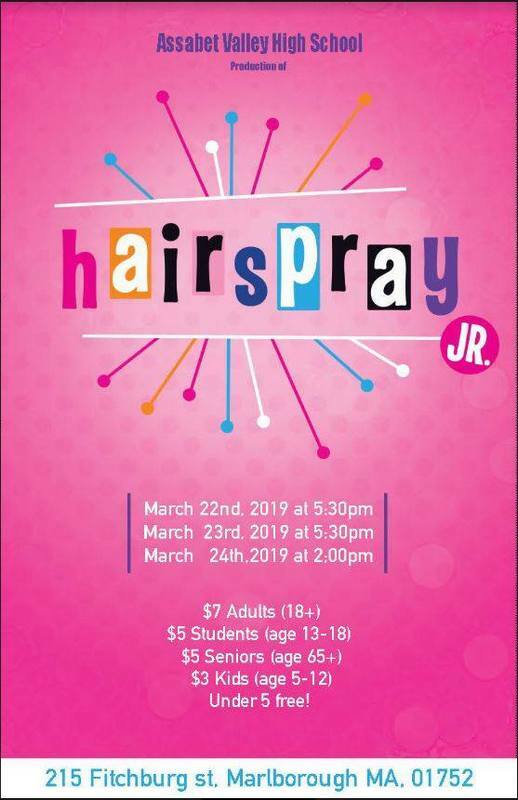 Adapted from the Broadway production that won eight Tony Awards, including Best Musical, Hairspray JR. is a show that will celebrate your students’ diversity and bring audiences to their feet with its positive message and uproarious sense of humor. The school posted the following promo video to Facebook.